Infused with an element of luxury one would often associate with royalty, the Amethyst Mattress is an opulent and comfortable mattress that’s crafted using genuine amethyst quartz. Argued for years that it has relaxing properties, amethyst quartz are undeniably enticing, which makes the Amethyst Mattress a unique prospect. Whether or not one may believe that there’s any truth to such homeopathic ideology, one thing that can’t be disputed is the sheer level of quality that goes into the Amethyst Mattress. Crafted with an exemplary double jersey fabric and finished with a wonderfully padded pillow top, the Amethyst Mattress is sure to provide a fantastically comfortable night’s sleep. Also crafted with a wealth of pocket springs, the Amethyst Mattress is easily able to accommodate sleepers with their own level of comfort. Each individually nested spring adapts to each individual sleeper, which means that even if one sleeper tosses and turns in the night the other sleeper won’t feel a thing. Immensely soft yet measuring up at an impressive 33cm, the Amethyst Mattress is certainly a rich mattress. 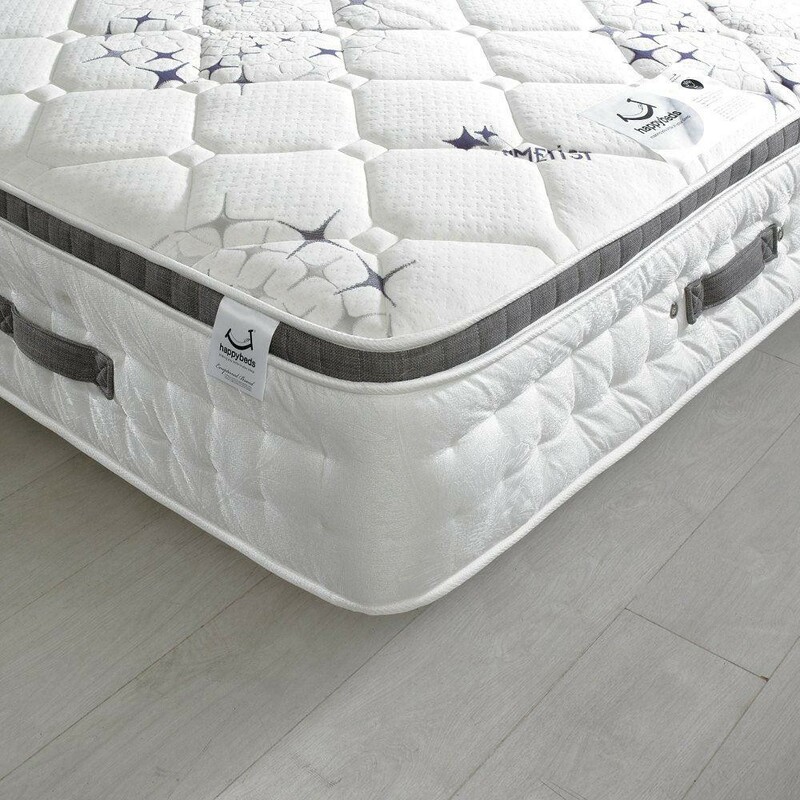 Specifically designed to be as breathable as possible, the Amethyst Mattress is sure to last for years, and this level of quality can be maintained for longer if the mattress is merely rotated every six weeks. I can confirm that the Ametist 2500 mattress does not contain memory foam.